Who are you? Paul Boyce garden manager brought up in St Peters and Broadstairs and now live in Dumpton on the Broadstairs / Ramsgate border. The Garden Gate Project is an independent charity serving the people of Thanet, we work mainly with adults who either have learning difficulties and/or mental health issues, and we also work with local special schools providing work experience for their students. We have a lot of volunteers and our oldest member is 92. Children are welcome but need to be accompanied by an adult. I like to think we have a place for anyone who has an interest in gardening or likes being outdoors. We hold regular open days and community art events. Why Margate? I like to think why Thanet? We have a choice of three quite distinct towns all fairly close together, with other villages and bits and pieces in-between, great coast from the mud flats of Pegwell Bay through to high white cliffs and sands, then the wide expanses of Minnis Bay. If you were an animal what would you be? A dog, our dog seems to have a great time, regular meals, lays around all day, with a few moments of wildness thrown in. What is the best thing about your job? The people who come to the garden. Object of desire for the garden? A little chalk stream running through the garden. What are the most important elements of the garden? The people who attend, without them it wouldn’t be the place it is. If you could change one thing about the garden what would it be? I would like to leave everything unlocked so anybody could come and go as they please. When was the garden gate project first started? The Garden Gate started in 1989 over at Chilton Allotments then relocated to Northdown Park 1996. What are the aims of the garden? To give people a good time. What would you say is the best time of year in the garden? I enjoy all the seasons but spring is the time, the first warm days after winter, one can see the rapid change in the plants and trees, then boom everything is green again. What would you do if you were Mayor for a day? A traffic free and no fly zone day over Thanet, the silence would be deafening. What inspires you? The people who come to the garden. Who are your heroes? Liam Brady, Eric Cantona, Cesc Fabregas. Best advice you could give to a budding new gardener? It’s either too much water or not enough that I think is the secret to gardening. 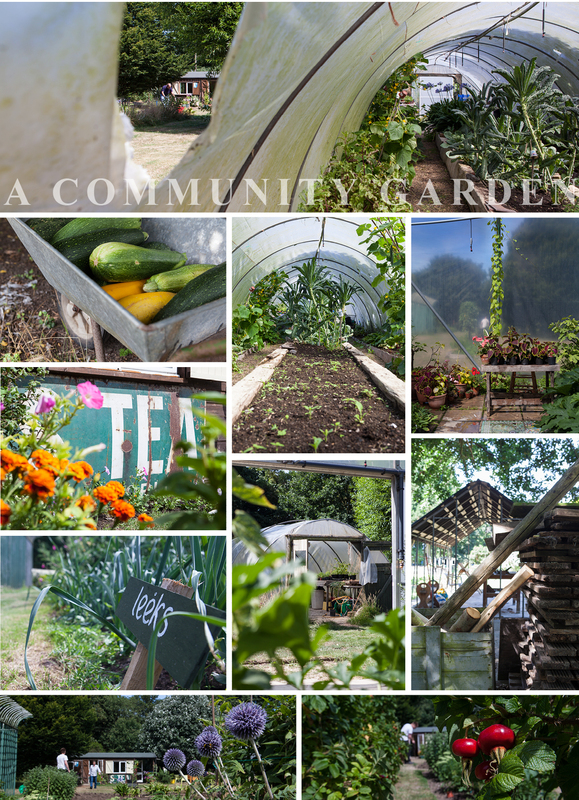 As this season comes to an end, what have you learned from your experience in the community garden? That there are a lot of good people in Thanet, the amount of help we have received or been offered has been fantastic. 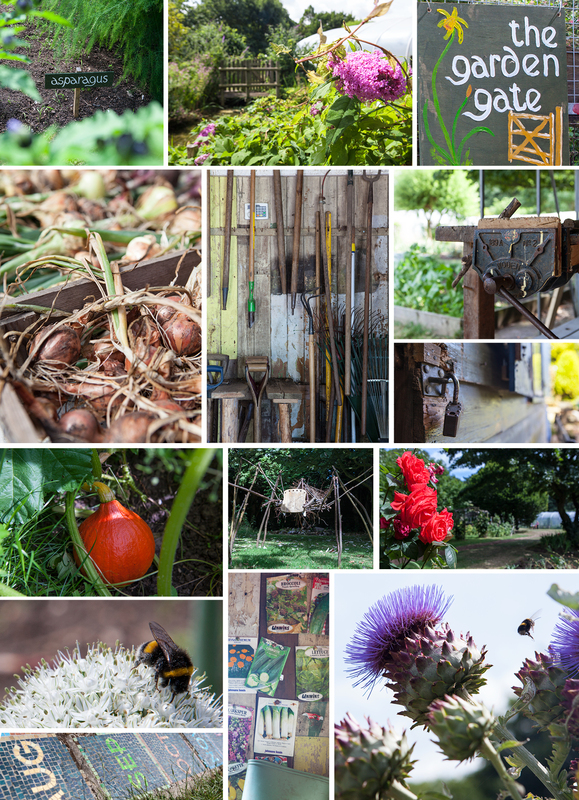 How can members of the local community get involved or help the garden gate project? We are based in Northdown Park Cliftonville we have an open door policy so anybody’s welcome to come and join in. If anybody helps they are welcome to take home some vegetables. Best advice you’ve been given? God and the Devil who ever they be, I don’t bother them and they don’t bother me. What are your goals for the garden for the following year? To make the garden self -funding, get our mobile cafe up and running, grow great vegetables and have some fun. ROUND-UP: The Garden Gate is a beautiful hidden garden in Northdown Park, complete with a leafy pond, fish, poly-tunnels of fruit & vegetables, a tool shed any gardener would be envious of, woodworking station, fire wood supplies, huge sculptures nestled amongst the foliage & coming soon a mobile cafe serving tea & cakes to visitors & gardeners. So much hard work has gone in to achieving this calm, relaxing, beautiful & produce full environment. There is an open day on Saturday 28th September 2-5pm – please go & see it for yourselves! VISIT THE GARDEN GATE: Based in Northdown Park, Margate.